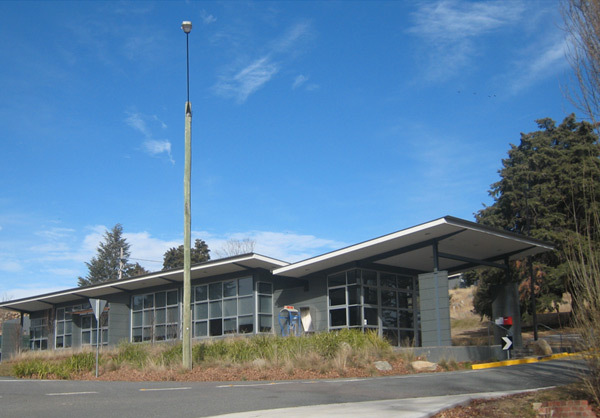 The project involved the construction of a new administration building for the Jindabyne Sports and Recreation Centre. The new premise is a one storey block veneer building with double-glazed windows and in-slab heating. Approx 800m2. The construction program spanned over the height of summer and the frost of winter in an environment that has the maximum temperature range our country has to offer. Providing the stringent insulation qualities while retaining the architectural integrity proved especially difficult for the double-glazing detailer. The continuously glazed corner junctions were a first for double-glaziers in the region.